Open-back circumaural Grado SR225e Headphones. Open-back circumaural Grado SR225e Headphones. Let your spouse know you honor fidelity… give them a pair of Grado SR225e headphones to enjoy their favorite music the way it was meant to be heard. Their traditional open-back design features enhanced airflow through the rear metal grill, and reproduction that is the definition of high fidelity, with crystal clear spatial placement. Allow yourself to experience true intimacy with your favorite artists. 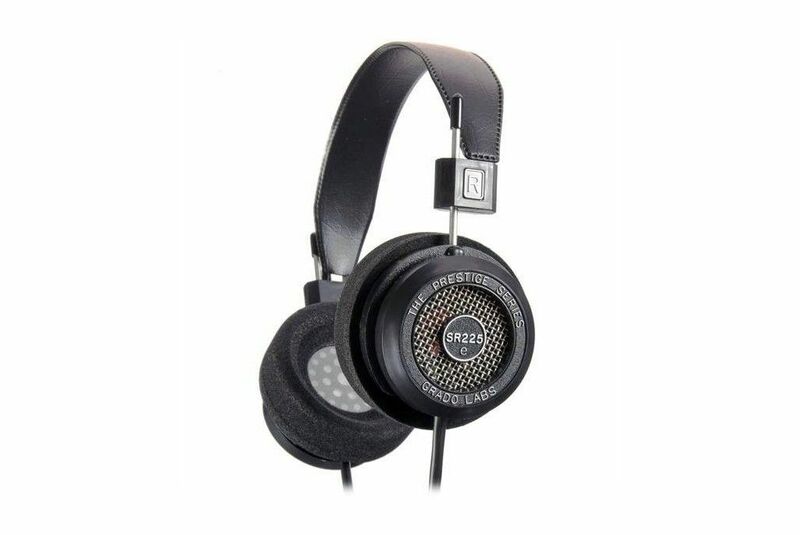 Grado SR225e. Open-back dynamic headphones. This headphone has sizable rear air flow through a metal screen, while utilizing Grado’s larger ear cushion and closely matched drivers. The result is a broad soundstage free from colorations. The way the SR225e’s new driver, cable and plastic housing move air and react to sound vibrations is virtually unaffected by transient distortions. Bass, midrange and treble are all more wide open and you will enjoy the fine tonal spread and balance. The SR225e will produce a sound that is pure Grado, with warm harmonic colors, rich full bodied vocals, excellent dynamics, and an ultra-smooth top end.